As a thank you to everyone for their participation in this wonderful community event, Torklift distributed all of its $2,310 to businesses chosen at random. Money distributed did not effect rankings of the challenge. Congratulations to all the top five winners which are listed below! Bundled up against the cold and waiting patiently for the doors to open, these families are filled with hope that they will be able to give thanks with their loved ones and not have to go hungry for Thanksgiving and the holiday season. During the holiday season many of us sit down to share a warm Thanksgiving meal with our families and friends while hundreds of families in our community stand in lines in the hopes of receiving food from the Kent Food Bank. If supplies run out, these families will be turned away with no food for their families. In order to give them a memorable Thanksgiving and holiday season, the community can join together for the 6th Annual Kent Turkey Challenge and help. In 2011, the Kent Food Bank lost the majority of their funding during Thanksgiving, leaving many families scrambling to find ways to feed their loved ones. This deeply impacted the community and Torklift Central responded by organizing the 1st Annual Kent Turkey Challenge. 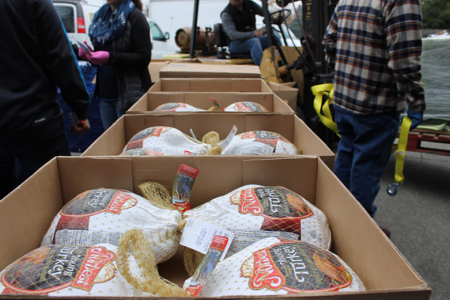 Over the past five years, donations to the Kent Food Bank from the Annual Kent Turkey Challenge total more than $81,700 and 25,000 pounds of food, feeding thousands of people that would otherwise go without a Thanksgiving meal. Every year the Annual Kent Turkey Challenge grows in popularity and competition between the local businesses and organizations involved. Last year alone we had 73 businesses join! A friendly race, the Annual Kent Turkey Challenge is to see who can collect and raise the most food and monetary donations for the Kent Food Bank. One hundred percent of the proceeds are given to local Kent families that are combating hunger during Thanksgiving and year round. New to the 6th Annual Kent Turkey Challenge this year, there is a coloring contest! For all ages, the Turkey Challenge Coloring contest is available to download online or at participating businesses. Submit your coloring page by Nov. 19, to Torklift Central at 315 Central Ave N. for a chance to win prizes! As a special treat, Urban Timber Coffee Company will donate a gift card to one lucky coloring contest winner. There are also other prizes available for the different age groups. Torklift Central asks for your support to make the 6th Annual Kent Turkey Challenge the most effective to date. As a community, this is an opportunity for us to make a lasting positive impact in the lives of families by making sure no one is turned away from the Kent Food Bank because of lack of food. The Annual Kent Turkey Challenge is not just about food; it’s about making memories. It’s about making sure parents can give their children the memory of a bountiful and happy holiday. We at Torklift Central will list every contributing organization on the leader board which is located below. We will also have a counter of the total contributions the community has collected above. We will also be showcasing the leaders of the challenge through our blog, e-newsletters and on our Facebook. 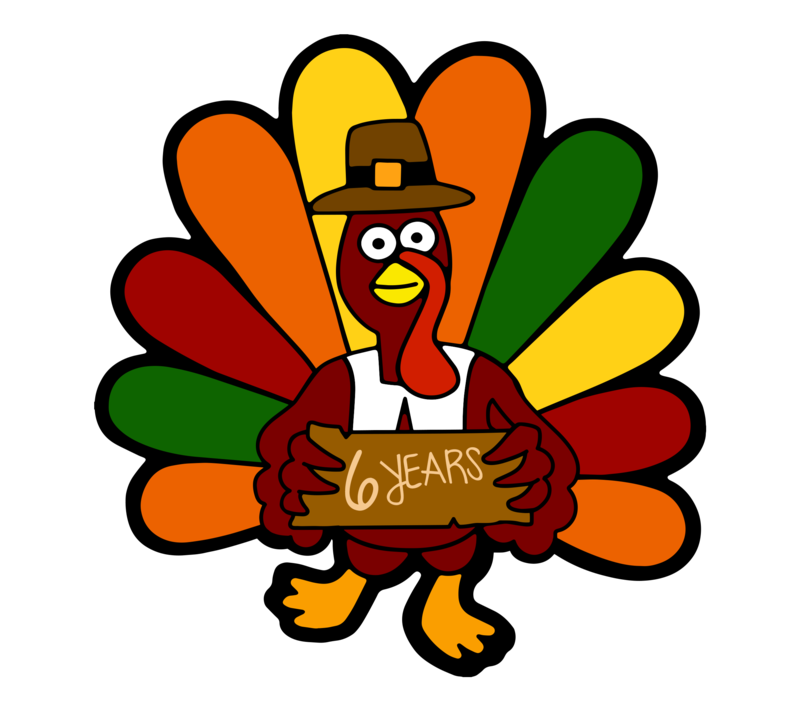 With your help, we can reach our sixth anniversary goal that every family in our community will be able to share a special holiday meal and that no household will have to go hungry on Thanksgiving. To participate in the 6th Annual Kent Turkey Challenge, please contact Katie at: [email protected] or enter in the Want to Participate form below. Find us at the 2015 Kent Business Expo October 20th! 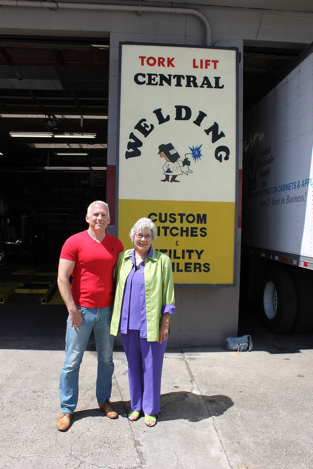 We want to recognize the individual contributions of each business. There is no donation too small as every bit helps. We want to thank each of these businesses for their continued support and donation efforts.